On August 30th, Art for El Salvador will be holding our third annual benefit concert! We are so excited to host this event at Vaudeville Mews from 3:00pm-7:00pm. Brother Trucker, Rainbow Penley and Jeremy Alvarez, and a few other friends will be playing music for you all. We are only $6,000 away from funding Sarah’s School and plans are in place to start construction at the end of September! So spread the word, and let’s break down to break ground! Efraín is a member of the Mediagua community. We got a chance to speak to him outside of his home and learn about his family. He and his family live on a coffee finca in a 70 year old house. The house though, is not their own. Instead it belongs to the finca owner, meaning that Efraín and his family are squatters. They know that when the owners come, they will have to leave. And they are constantly in fear of when this will happen. All three of Efraín’s sons attend the Mediagua school. His oldest, Luis is 14 and is currently in 3rd grade. Aloberto, who is 12, is also in the 3rd grade. Efraín’s youngest is Marcos, who is 10 and in 1st grade. Efrain dreams that his children can get to a “high grade to get a job.” But it is difficult. 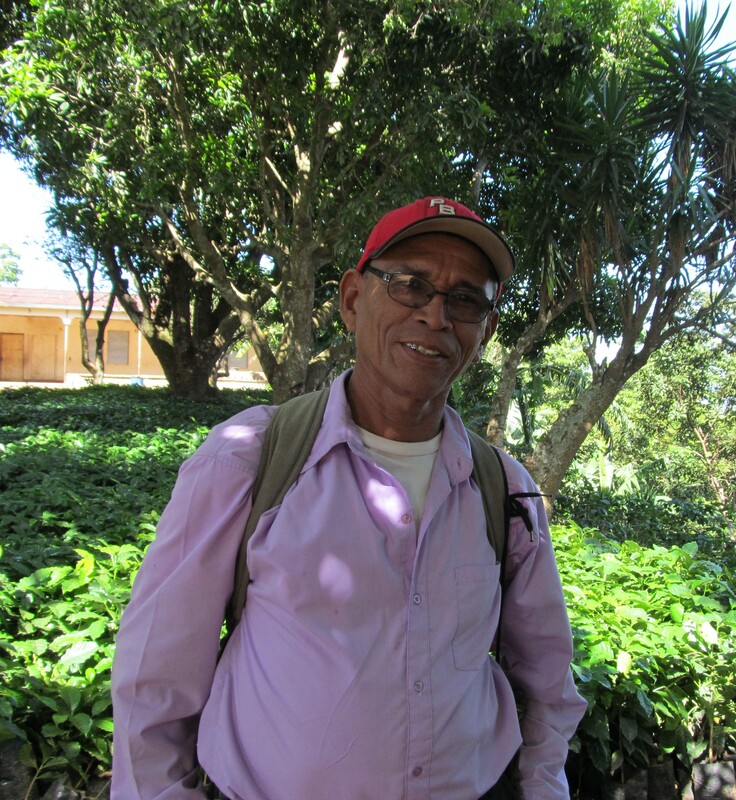 Efraín’s job at the coffee finca has all but disappeared; he only gets work there a few days. Like most in rural El Salvador, he relies on subsistence farming and maintains his two manzanas of corn. But he’s eager to help build the school and is excited at the opportunity it will provide for his three sons.